The broad category of interstitial lung disease (ILD) comprises idiopathic and non-idiopathic pulmonary fibrosis (IPF), with the latter making up most of the cases. Yet, determining which form of non-IPF a patient has is challenging for physicians because there are more than 200 non-IPF ILDs. “Non-IPF ILD: How Do I Make the Diagnosis?” will be presented from 9 to 11 a.m. Monday in Moscone Center, Room 134 (North Building, Lower Level). “Non-IPF varies a great deal by risk factors, presentation, CT appearance, pathology findings, prognosis, and therapy. It is therefore both very important and very difficult to keep them straight,” says Maryl Kreider, MD, associate professor of clinical medicine, director of the ILD program at the Harron Lung Center, associate chief for education, and fellowship director of the Division of Pulmonary and Critical Care Medicine at the University of Pennsylvania’s Perelman School of Medicine, Philadelphia. Monday’s “Non-IPF ILD: How Do I Make the Diagnosis?” will review the evidence clinicians can use to differentiate non-IPF ILDs. Dr. Kreider will co-chair the symposium, which will take place from 9 to 11 a.m. in the Moscone Center, Room 134 (North Building, Lower Level). Presenters will share clinical features from a patient’s history, radiographic features from a patient’s highly conformal radiotherapy, and pathologic features from a patient’s biopsy to illustrate best practices. For each, they will highlight the five most important features they rely upon when distinguishing non-IPF ILDs. 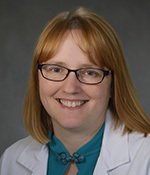 “For instance, they could describe a particular symptom, distribution of disease on CT, or types of inflammatory cells they have seen — whatever they think is most important for telling them apart,” Dr. Kreider says. After a review of these characteristics, three ILD clinicians will discuss real-life cases, which were provided to them without a diagnosis, to demonstrate how to best work through challenging cases. “Our hope with this session is to provide some of the highest yield features so we can help clinicians apply these findings to their own patients and feel more comfortable when faced with a rather overwhelming task,” Dr. Kreider says. “Non-IPF ILD: How Do I Make the Diagnosis” (B3) is supported by educational grants from Boehringer Ingelheim Pharmaceuticals, Inc., and Genentech.